These comments will go directly to Flower Shop Network. 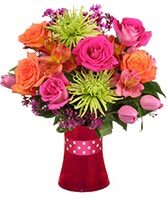 This is NOT a method of direct communication with BASLEY'S FLORIST for the purposes of ordering or rectifying problems. Outstanding service and beautiful flowers! I gave Mrs. Basley less than 24 hours notification that I needed two funeral sprays. She had to purchase the flowers I requested, make the sprays and get them to the funeral home at 8 am the next day! I called at noon the day prior. She delivered and the sprays were magnificent! I would highly recommend her! Outstanding! Delivery person let me know when they was about to deliver and when the delivery was accomplished. It was a great pleasure talking and dealing with Basley Florist. Amazing service from the staff there! They went above and beyond with the delivery considering the initial address provided was incorrect. 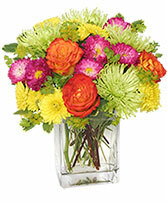 Also, the recipient loved the flowers and the photo sent showed just how beautiful they were. Thanks! Flowers were beautiful and arrived on time for my uncle's funeral. Beautiful arrangement. I was very pleased with the service. I will definitely use again. flowers were beautiful although I was very disappointed in the delivery service. 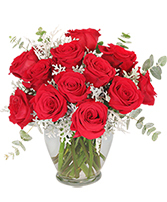 I placed my order first thing that morning and flowers did not arrive until 9:15pm. I called at 5:00 pm to check the status of my order and mrs. Basley said it would be 7:00 pm before the arrangement would be delivered because she had something come up (which I completely understand) but some notification would have been nice. I paid $10.00 delivery fee for the arrangment to be delivered about 3 or 4 miles from her shop. maybe next time I order I will do a pick up instead of delivery to save money and time. She has done some amazing custom arrangments for me in the past for funerals and her work is always beautiful!!! If ifonrmatoin were soccer, this would be a goooooal! I live out of state and did not attend the funeral so I have to report only on the service I received. Basley's called me immediately to suggest other selection as the plants that were availble were smaller than expected. I appreciate their level of detail. Quick and courteous. Excellent serice and this was for a less than 24-hour order. Thanks again! Your web site was easy to navigate and the flowers were beautiful. 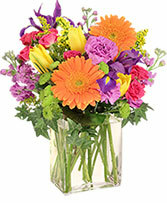 Thank you for making it easy to order flowers at such a difficult time for our family. Flowers are beautiful. Would have loved a purple vase. Thank you. I love your website. It is very user friendly. I appreciate your help in this matter. I think Mrs. Basley has a great setup.I wish her all the BEST in the future. this is the beat flower shop i ever shoped at. Very professional and reasonable prices.